/ Do You Have To Know Greek? Do You Have To Know Greek? 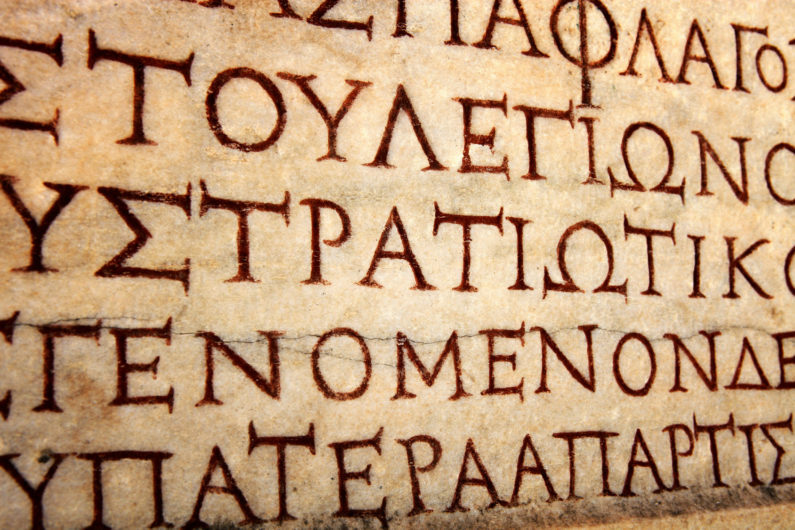 Do I have to know Greek and Hebrew to Preach The word? I have had a few questions come in related to the use of Greek and Hebrew in preaching so I will deal with them. OK, we all know the answer, don’t we? It’s simple. I would rather have a Spirit-led preacher without knowledge of the Greek than a one who ain’t spirit led who has 4 years of Greek study. What about the Spirit Led preacher who has 4 years of Greek? I have from time to time heard sermons from such preachers. They delve deep in the word and pull out nuggets that are very helpful. That is why God chose YOU to preach to THAT PEOPLE at THAT TIME! You see, there is something about your background that gives you some insight that others don’t have. We need the Greek Scholar, but sometimes they lose touch with the reality of the day to day lives of those who live with their back against the wall. Sometimes they teach us Greek when the simple English would have sufficed. This is why we all have a part to play in the preaching moment. Now, I think it is important to get as much training as you can get. Praise God for the great scholars. If you don’t know Greek…Get you a number of translations and read them and preach the Word to the best of your ability. All I’m trying to say is study to the best of your ability.